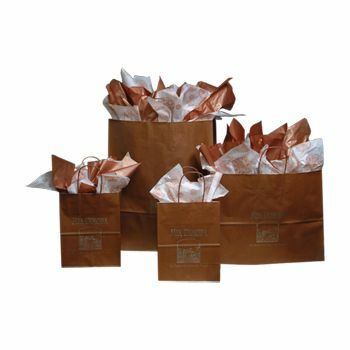 These white kraft paper bags with ice overprint look luxurious and sophisticated. 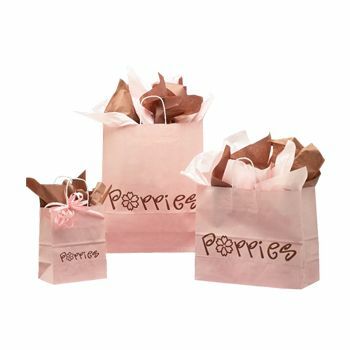 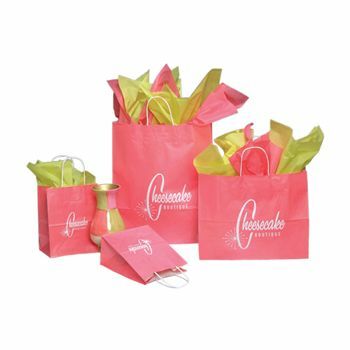 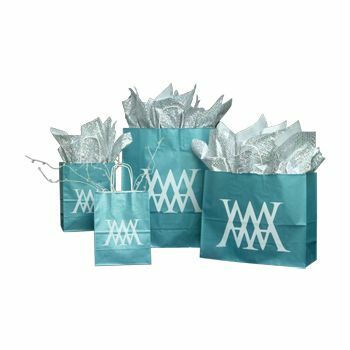 White or chocolate paper handles make it easy for your customers to carry their purchases or your giveaways. 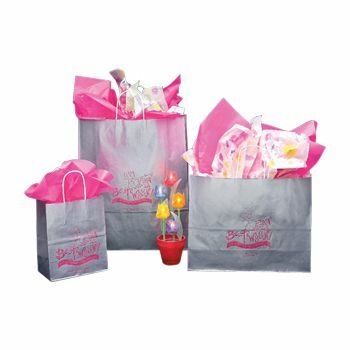 These solid-colored bags are overprinted with ice for a swirled and fun effect. 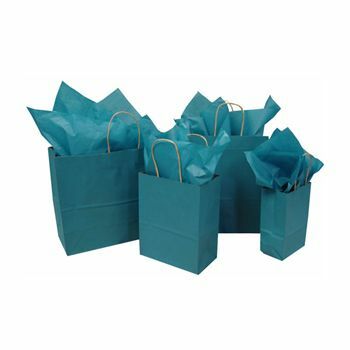 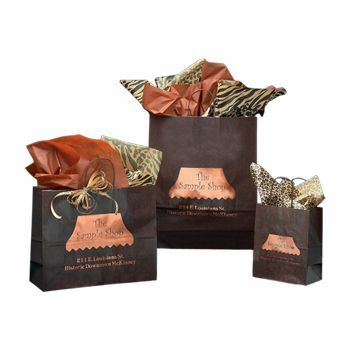 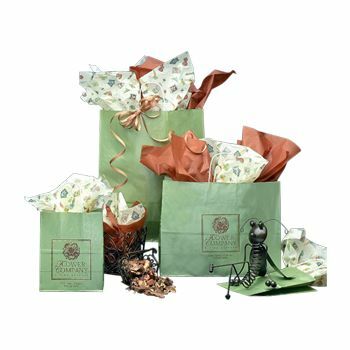 You can customize your order of these bags by selecting the color of ink or hot stamp that you desire. 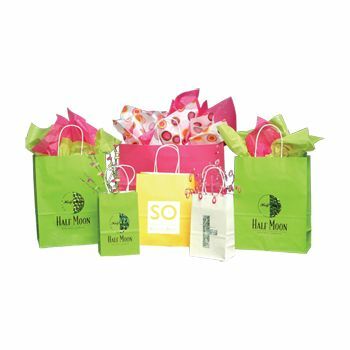 Your logo, slogan or image can be stamped or printed onto the bag. When you need your order in a hurry, rush shipments are available. 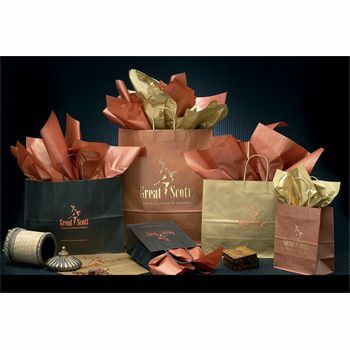 For your convenience, on-time delivery of each order is guaranteed.